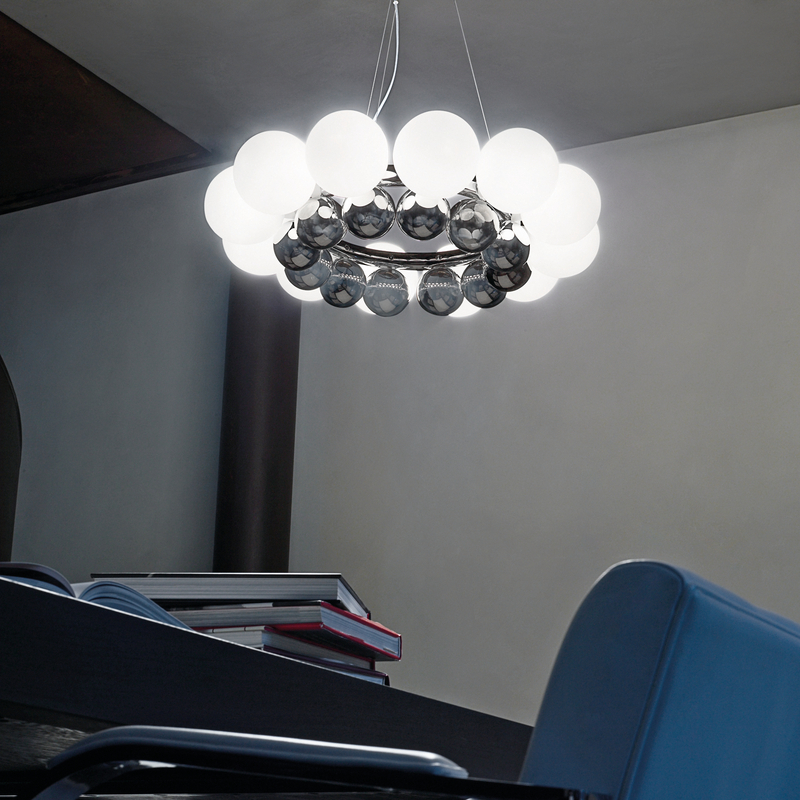 The 24 Pearls pendant light by Vistosi is an eye-catcher in every room. The shade of this extraordinary light consists of two rings, comprising twelve balls. The balls of the outer ring, made of hand blown white glass, contain the bulbs. With the light switched on, each ball is lit from within. Thus, the light creates a pleasant, mild lighting as well as a fascinating overall picture. In addition, the inner ring consisting of smaller, chrome balls supplements and rounds off the lights appearance.